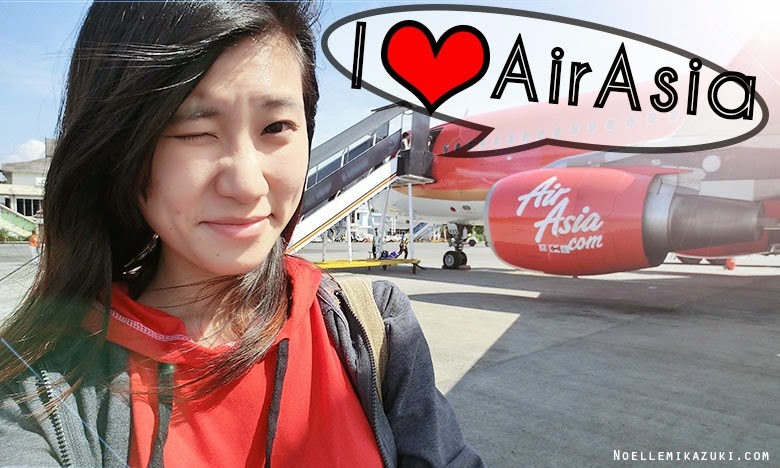 Noelle Mikazuki: First Flying Experience with AirAsia Singapore! 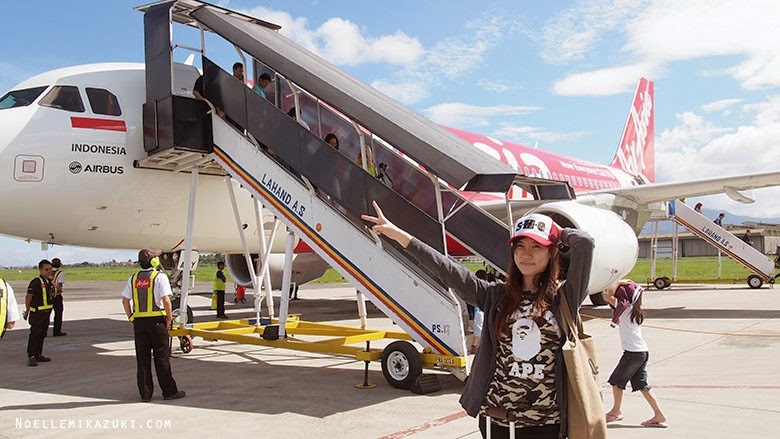 As titled, this is my virgin flight experience with AirAsia! Great thanks to Omy.sg and AirAsia Singapore for this opportunity to travel with AirAsia to a brand new country and city I've never visited before, Bandung Indonesia! And it was a splendid one, everything was well provided and smooth! So I'm here to share with you what AirAsia provides!! World's Best Low-Cost Carrier for 5 years in a row since 2009! 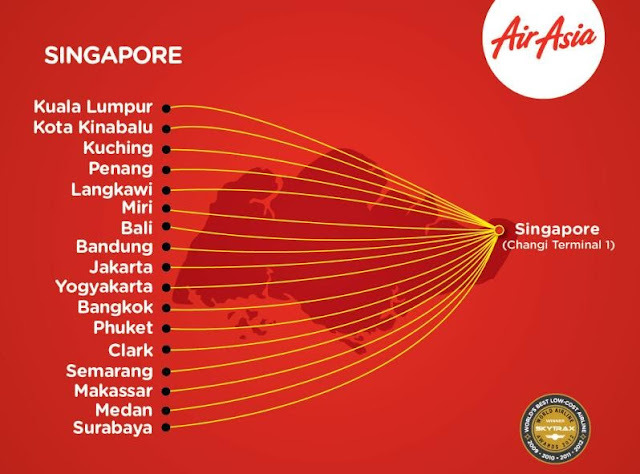 AirAsia Singapore offers a range of 17 destinations out of Singapore! 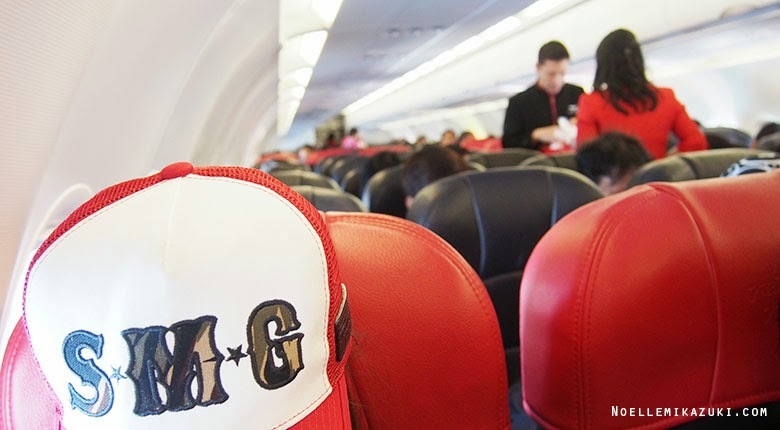 This is probably my favorite part about AirAsia! just by paying an additional of SGD$55! So what do you get in additional? - Access to Lounge at the Airport!! So here's a picture of me checking in! Credits to my travel partner, my MUMMY! AND I KNOW YOU GUYS WOULD PROLLY BE LIKE BORED ON FLIGHTS. 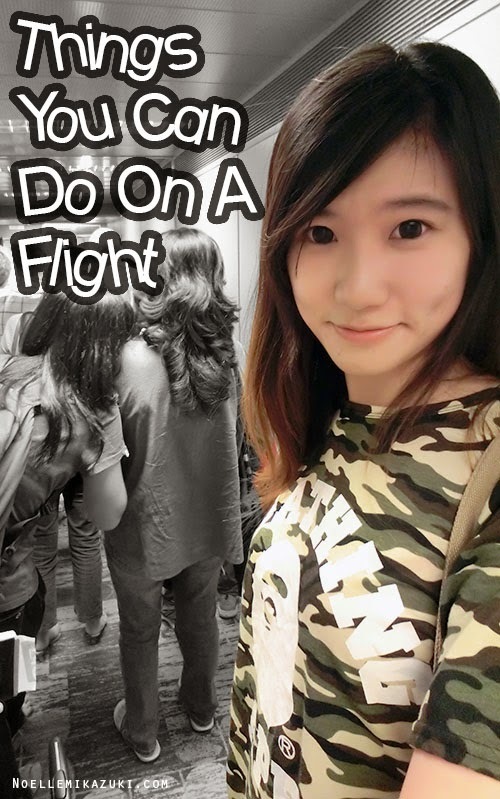 So..here's a list of things you can do onboard besides stuffing in your earphones! 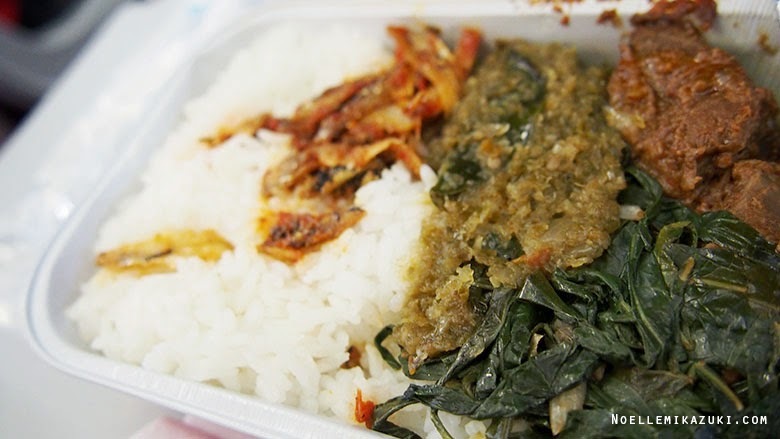 If you're rushing for a flight or have no time to eat, FRET NOT. 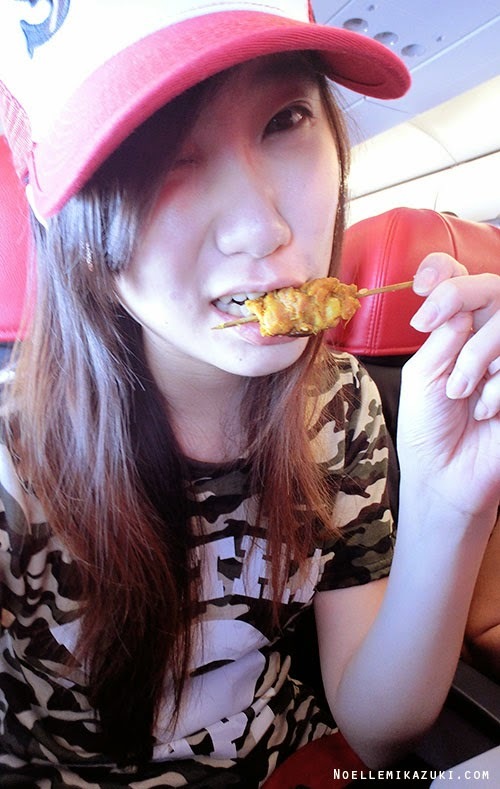 You can take your time to eat onboard the plane! 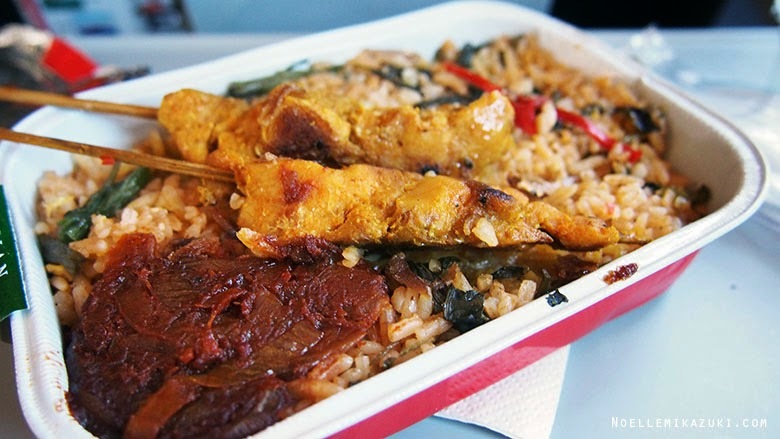 AirAsia offers a variety of food choice for you to choose from! The price is really reasonable and the portion's fair enough for a normal meal! Meal I had onboard flight from SG to Bandung, Indonesia! When I saw the Menu during the briefing, I was literally grinning ear to ear! Because I LOVE SATAY SO MUCH I CAN EAT LIKE FEW DOZENS OF THEM. And the meal I had on my flight back to Singapore! This was a little spicy for me cause I don't really take spice well. But nonetheless, some was saying it tasted really nice! 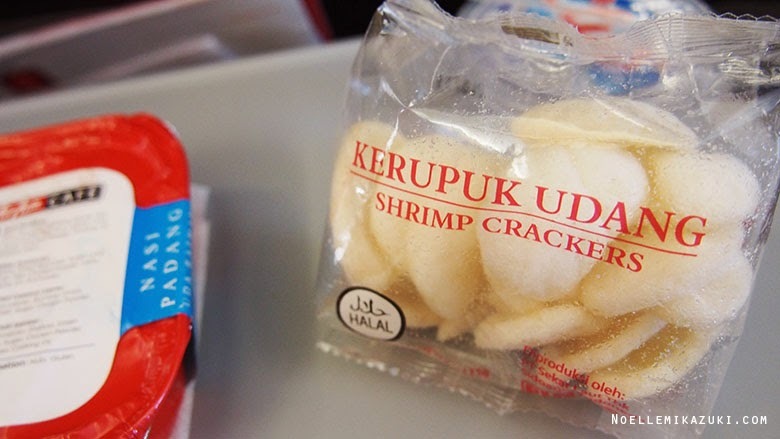 And it came with this Shrimp Crackers that I finished in seconds, hahaha! 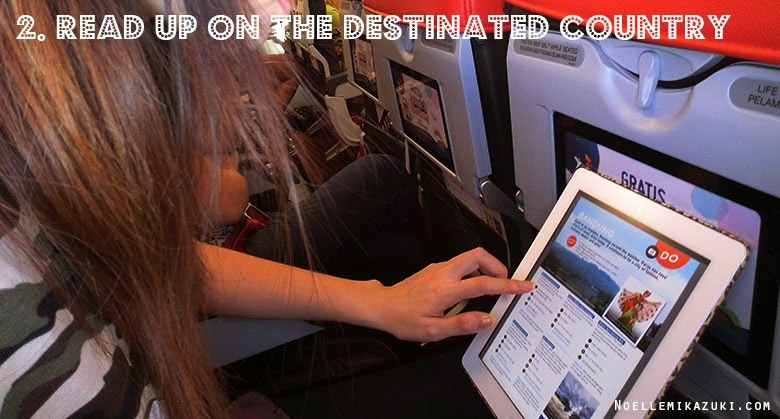 AirAsia has a "Read Up Guide" for the destinations that they fly to! You can download this on your iPhone/iPad/any device and read them on the plane! Le me reading on where to visit in Bandung! This is kind of typical..but still.. 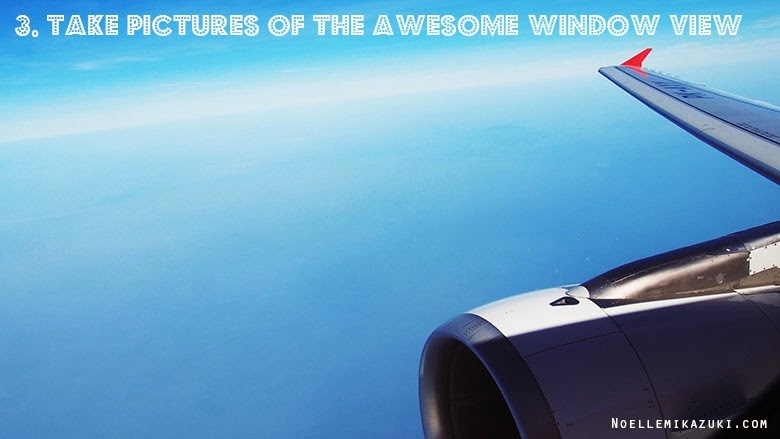 TAKING PICTURES OFF THE PLANE WINDOW IS A MUST IN EVERY HOLIDAY. 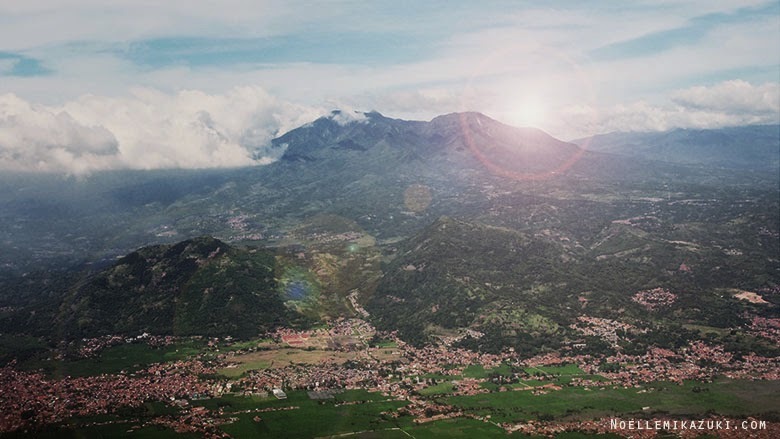 Plane view of Bandung, Indonesia! 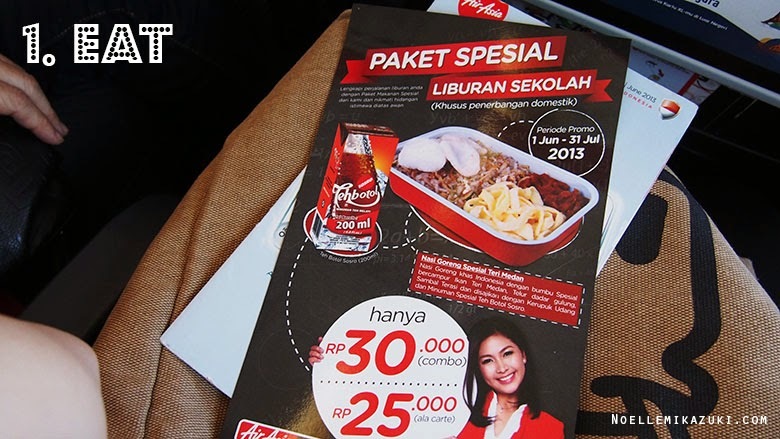 Different flights of AirAsia provides different shopping catalogues! And I really LOVE to flip airplane's shopping catalogues cause it's really interesting! You'll tend to spot things that are really cool and handy! Must do no matter where you are (or at least for me) hahahhahaha. 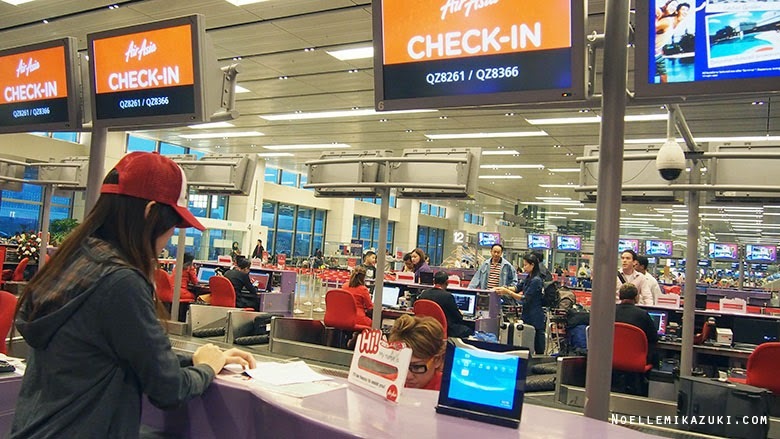 Really enjoyed my experience flying with AirAsia! Visit AirAsia now to know more about their Promos and book your flights now! Will update on another post about my trip at Bandung! The place is seriously amazing!! 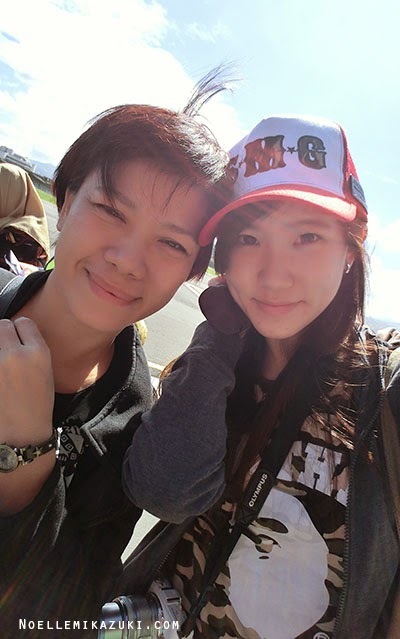 Photo of le happy Mum and I before I end this post! P.S. 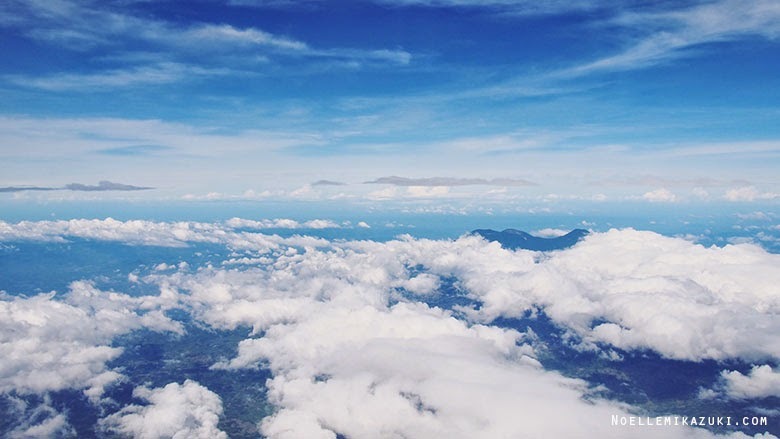 DID YOU KNOW THAT YOU CAN BOOK YOUR FLIGHT ON YOUR IPHONE? 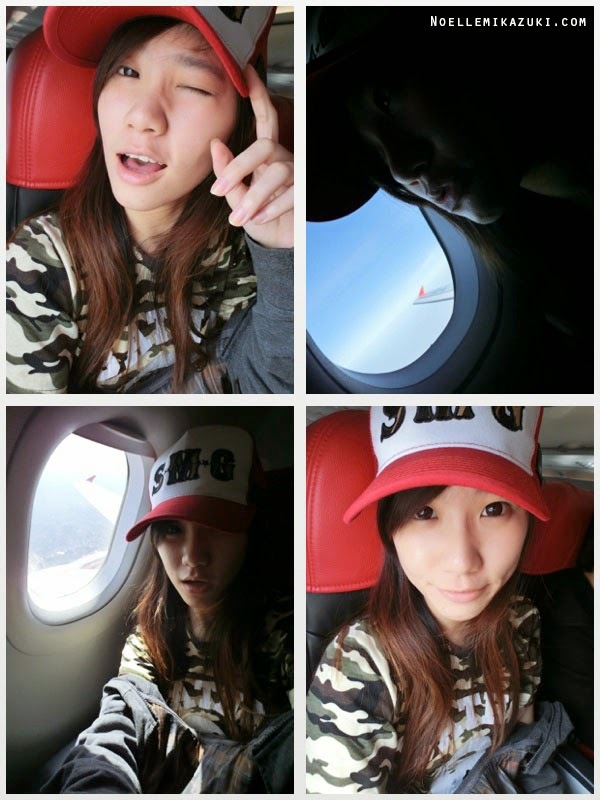 © Noelle Mikazuki: First Flying Experience with AirAsia Singapore!